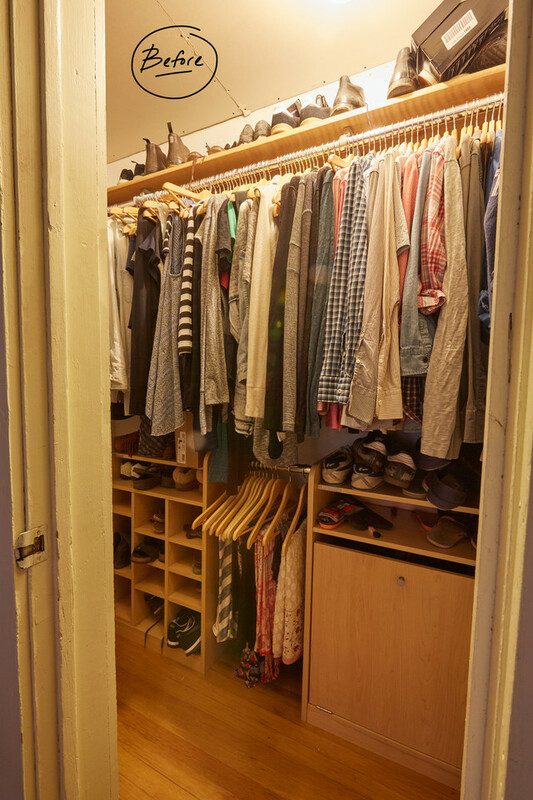 Before, as Kristen puts it, "it was never quite big enough to be a walk-in closet although it technically was one." She says she had to do a "weird shuffle" to access her side of the closet. 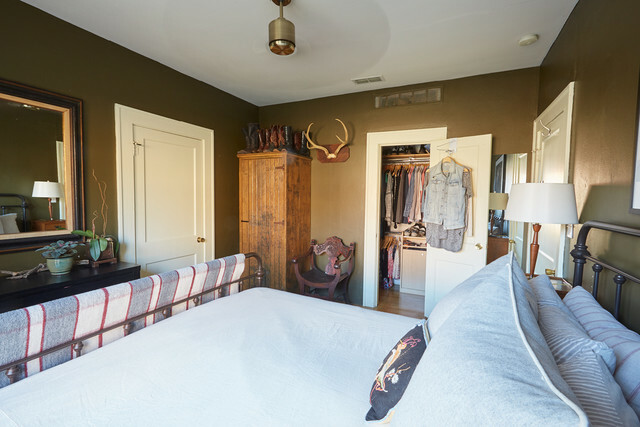 An antique locker the couple affectionately called the "out house" looked great in their rustic, eclectic space but wasn't as functional as they had hoped it would be when they purchased it. 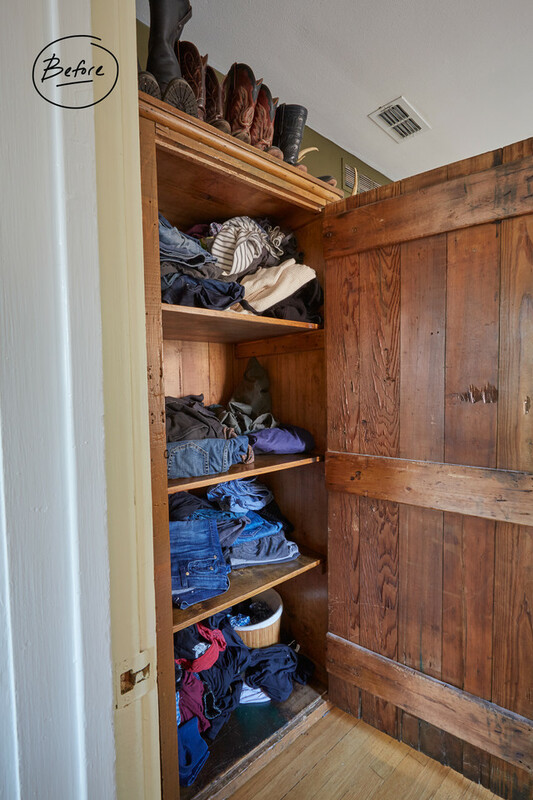 Folded clothes weren't stored in an orderly, structured manner, and Marc's collection of cowboy boots was stored in any available space on top. 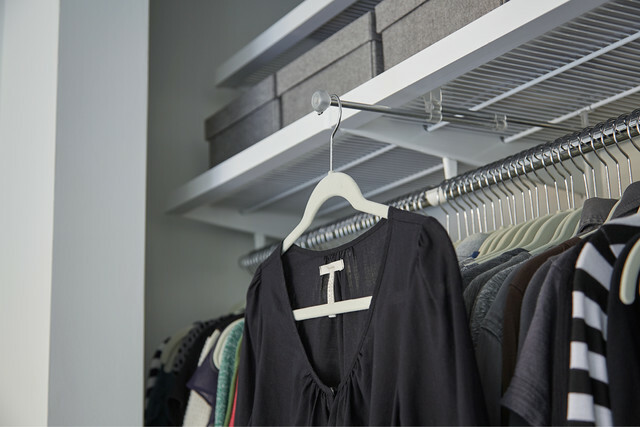 Marc and Kristen decided to give up some of the depth of the closet to make more room in their renovated kitchen, but said that the additional space wasn't efficient in the previous closet. Now, they love that with the elfa design, it's not only vastly more functional but it's pretty to boot! Yep! 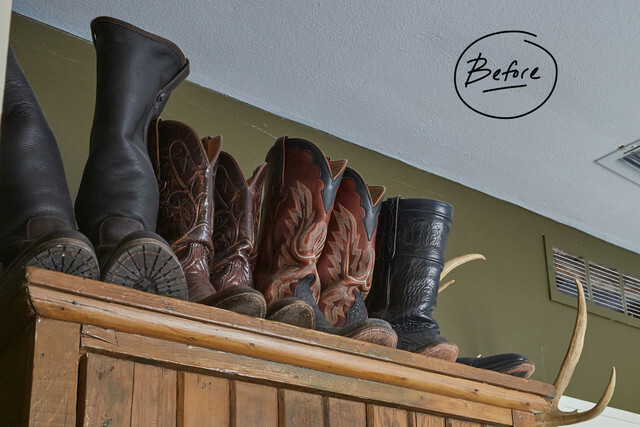 See Marc's boots beautifully displayed on the top shelf? 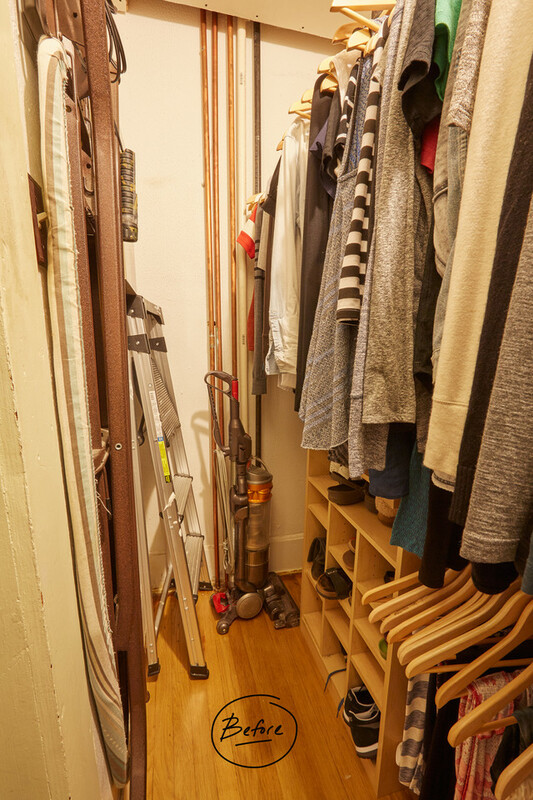 Boot Shapers help them stand tall in the organized closet. After sorting and deciding what would go from the antique "out house" into their elfa drawers - the couple finds getting dressed much easier. 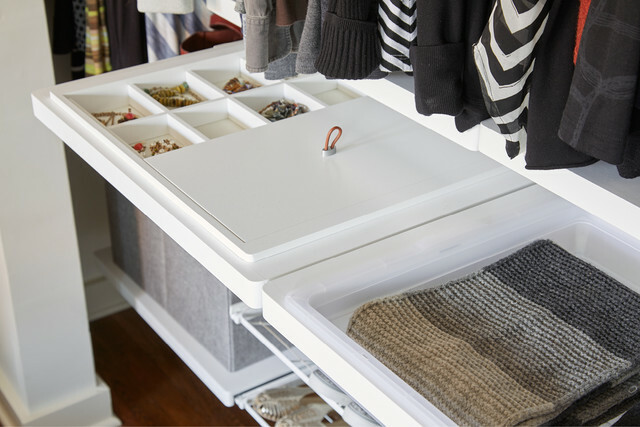 Jewelry drawers and a space for accessories is an added bonus to the space. 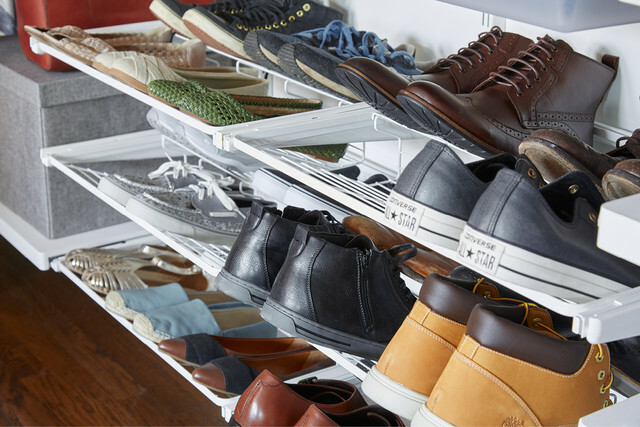 They really enjoy the large space of the shoe shelving available and had determined, before the makeover, that it was an important element in the design. 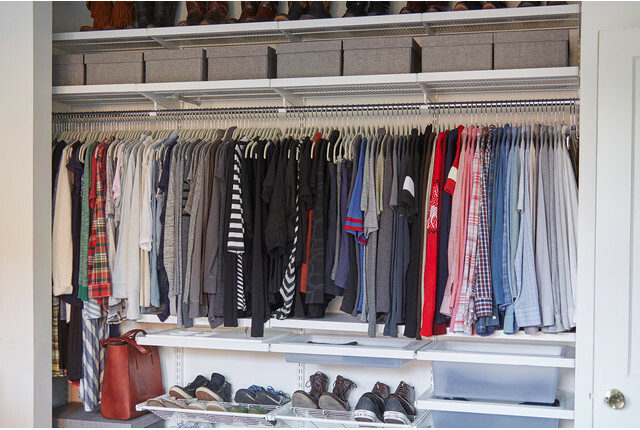 Kristen said Marc really got into the process of getting the closet ready before the re-organization of it. He's a fan of Marie Kondo's KonMari method - he read her book with a group of buddies and was inspired by the process. Kristen sweetly says he previously had a hard time getting rid of things. Now, even his socks are all folded and sorted! They look forward to keeping the new closet tidy and streamlined! Ahhhhh.... we love it!